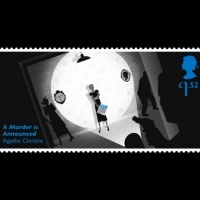 2016 marks the centenary of Agatha Christie writing her first detective story – The Mysterious Affair at Styles. 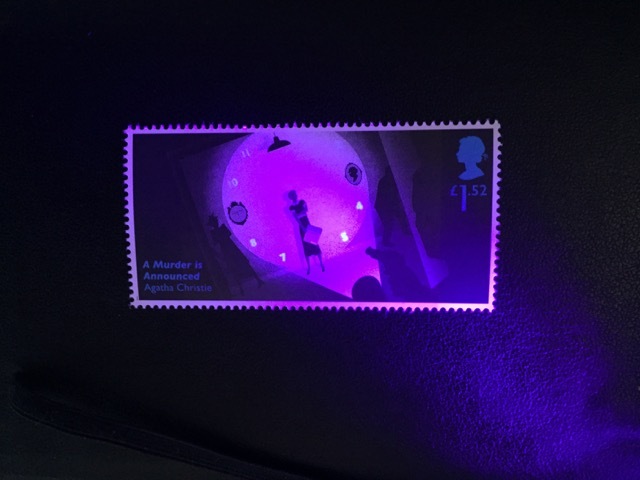 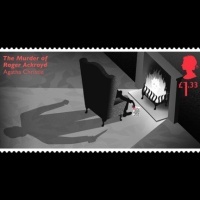 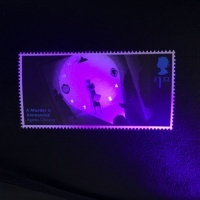 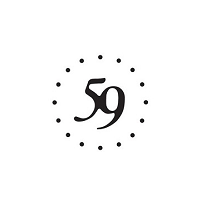 The Royal Mail is marking the occasion with a set of six stamps representing some of her best-known novels – Murder on the Orient Express, The Mysterious Affair at Styles, The Body in the Library, And Then There Were None, The Murder of Roger Ackroyd and A Murder is Announced. 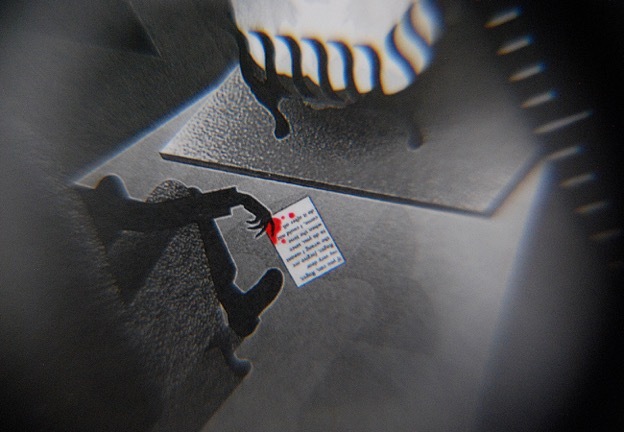 And Then There Were None: A poem, key to the plot, is the moon’s reflection, and the mysterious U.N.Owen appears at the lit window. 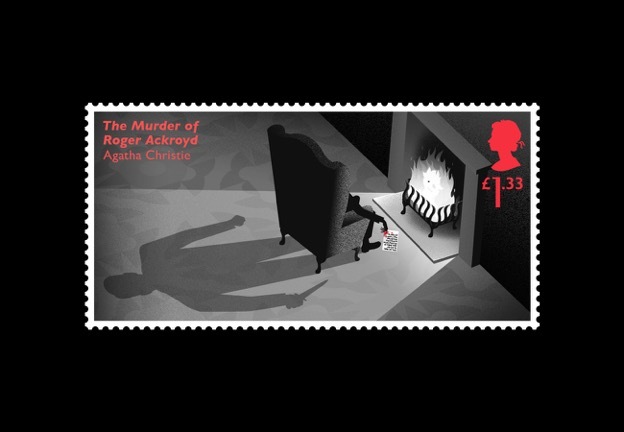 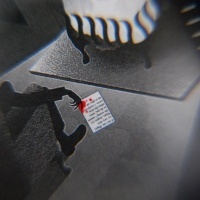 Each stamp sums up one of Christie’s complex plots in a single frame illustrated by Webb, with clues that point to the murderer hidden in the artwork. 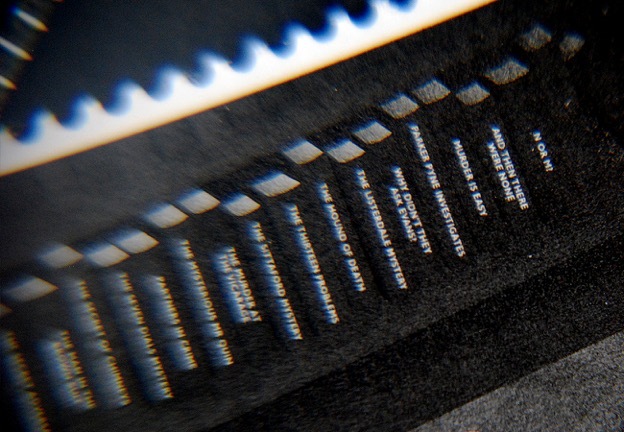 These ‘hidden clues’ are revealed with exposure to UV light or heat, and of course, the use of a magnifying glass. 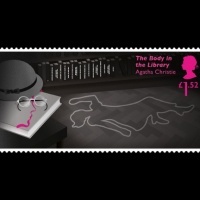 Miss Marple investigates a body found in the library. 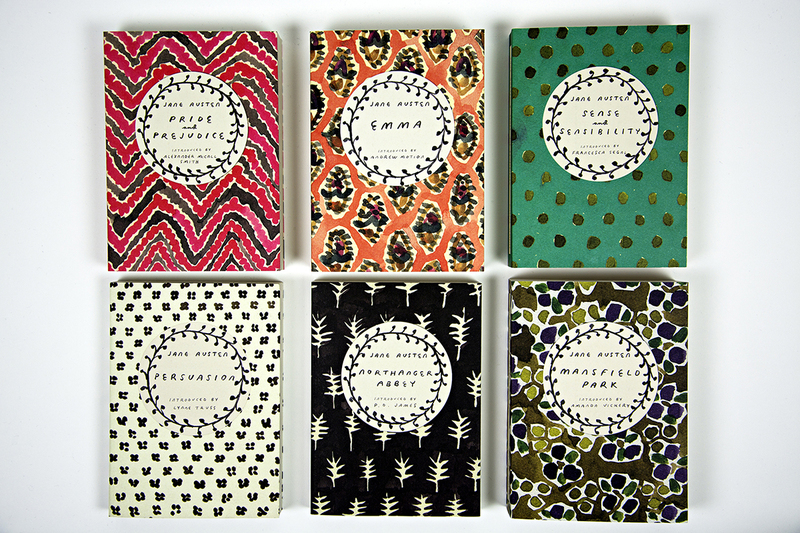 Her previous books appear on the shelves behind. 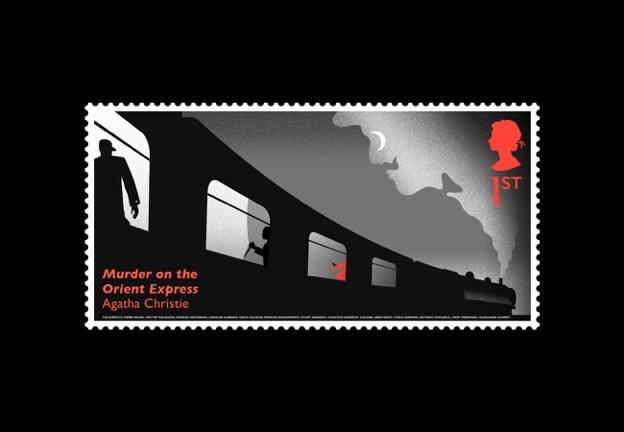 Murder on The Orient Express: Don’t be distracted by the red kimono character, she distracts the viewer from the killer hidden behind a heat sensitive ink curtain. 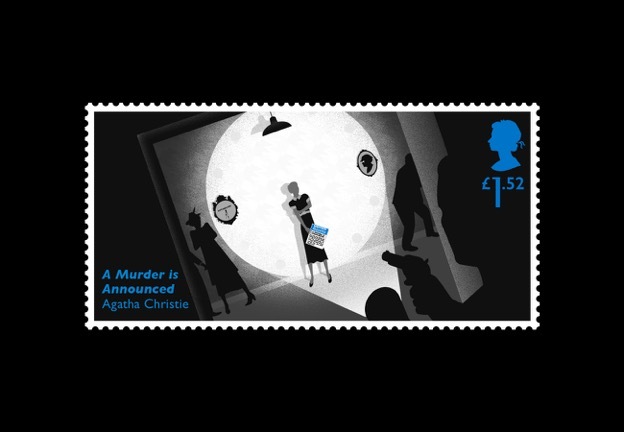 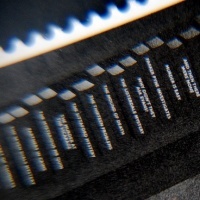 The curtain disappears when the stamp is touched, and names of suspects are written along the train track in micro text. 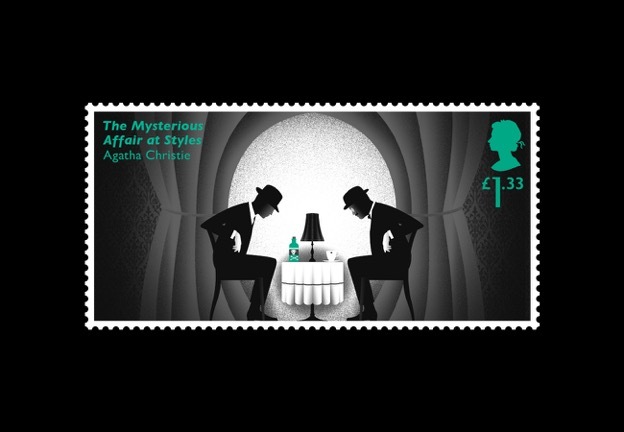 The Mysterious Affair at Styles: Poirot and Hastings investigate the crime scene – forming the skull, as the murderer used poison. 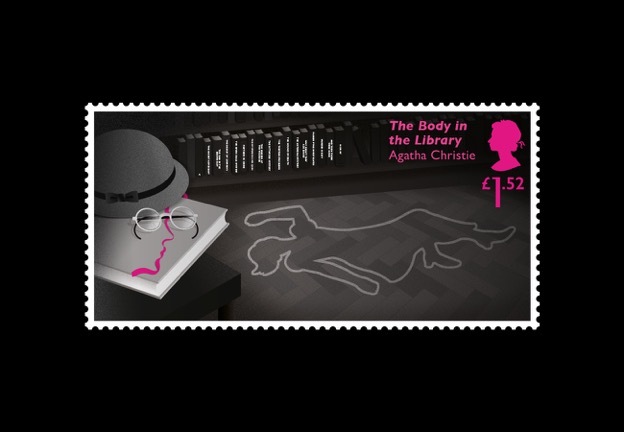 The whole stamp is then reproduced in miniature on the poison bottle. 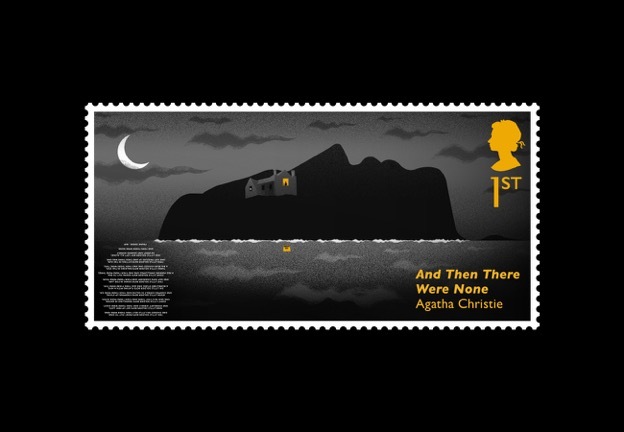 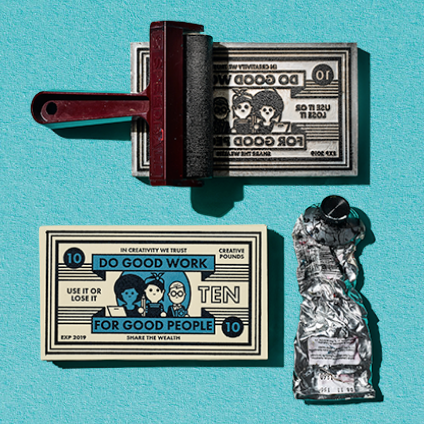 Each stamp also has a hidden letter, which combine across the set to spell ‘Agatha’. 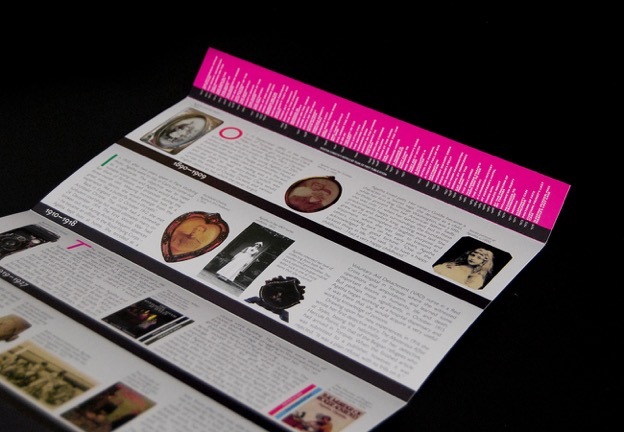 The presentation pack for the stamps is like a bookshelf packed with original objects, photographs, book covers and a timeline of the the author’s life. 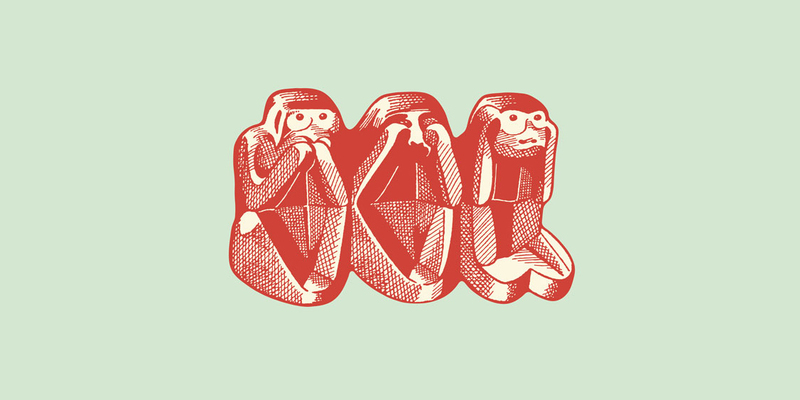 See more of Neil Webb’s work here. 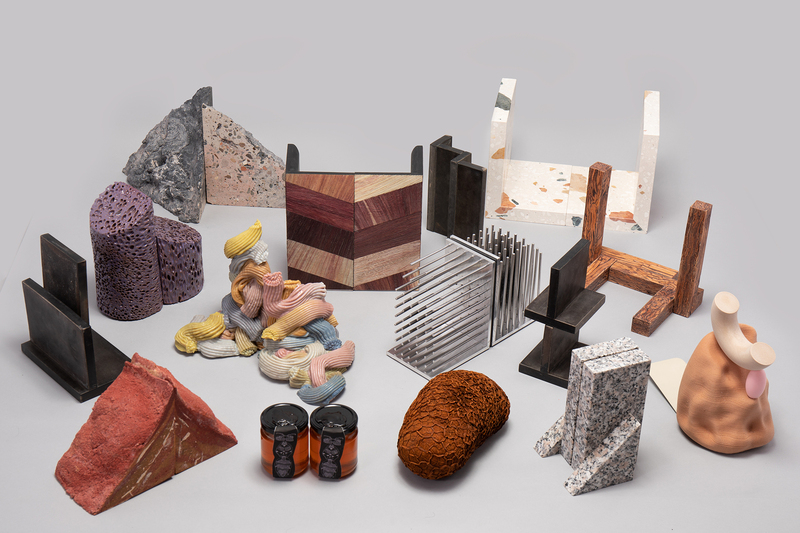 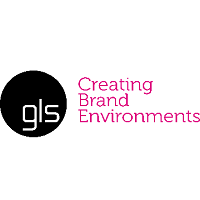 The Studio Sutherl& site is here.